UPM Pharmaceuticals CEO- Jim Gregory interviewed by Pharma Horizon Journal during DCAT week 2018. PH: Who is UPM Pharmaceuticals? 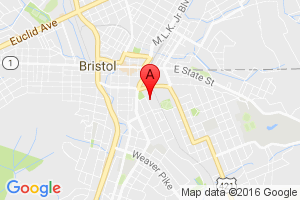 Gregory: We are a family-owned CDMO based in Bristol, Tennessee, supplying full CDMO services including formulation development, cGMP manufacturing and packaging, analytical method development and testing from concept through commercialisation. Drugs have been manufactured at the site for over 100 years, under many names – one of those iterations, King Pharmaceuticals, is a company started by my family. We exited King and I took over running UPM in 2004. UPM built its reputation in Phases I-II, but about six years ago, we decided that in order for UPM to reach its potential, we needed to acquire commercial capabilities. During our due diligence activities evaluating several possible opportunities, Pfizer, which had purchased King in 2011, announced plans to close the Bristol manufacturing site. We saw this not as a tragedy for the town, but rather as an opportunity to get the site we needed. Since then, we have expanded the portfolio and turned it into a successful portion of our enterprise. PH: So, are you now active across the entire value chain? Gregory: Two thirds of our business is in commercial work and the other third is in early phase development. Early phase development builds the basis for commercial work as you can form a relationship with the client and take them all the way to commercialisation. We have had a number of those successful projects. I think there are now three oral peptides on the market for irritable bowel syndrome and we worked on developing two. One of those is the reason we got into commercial work; the client wanted us to manufacture to commercial scale but we didn’t have the capability. The product turned out to be a blockbuster product of about $1 billion in WAC dollar revenue per year. That generated the buzz within the company to think we were missing out on something big. This year, we will have five different clients’ projects go commercial. PH: What are your key capabilities? Gregory: We can do anything from 100 grams up to a metric ton of production. Our sweet spot is oral solid dose, wet and dry granulation, and dry blend. A lot of companies can provide these but we try to bring a service focus to our clients in terms of how we have organised ourselves and how quickly we are able to make decisions. We try to partner with people as best we can and we see the results of that in the clients who stay with us five or six years to commercialisation. We do a great deal of semi-solid production and we are planning to expand to do more in the future. Semi-solid capacity in the United States is lacking; therefore, we receive plenty of enquiries for semi solid work. Small molecule oral solid dosage form is a $25 billion market in the US and we want to be a strong player in that market. PH: Do you see this as a good time to be investing in pharma manufacturing in the US? Gregory: There is a lot being said about it – whether that turns into a reality remains to be seen. Two things are driving this: one is the recent tax bill, which has within it a depreciation escalator, which means that any capital investment made and put into service this year or next can be 100% depreciated, so if you are doing well and can suddenly depreciate a capital investment, it could be a significant boon to facilities’ infrastructure and capabilities. The other, of course, is FDA’s stated intention to enforce quality standards regarding ex-US manufacturers. A level playing field in terms of enforcement will favour companies with superior infrastructure and that could well produce a stronger US market in pharma manufacturing.